At St John’s, we believe that the Christian life flows from a heart transformed by God’s grace. Therefore, Outreach at St. John’s is an “inside-out” ministry. We believe that as the love of Christ heals us, fills us and overwhelms us, it becomes natural to share it with others. Outreach that is an expression of the gifts, passions, and life circumstances of an individual is both authentic and relevant. Loving God by loving others and caring for the world He has created is all part of our calling to be followers of Christ. The Outreach Grant Program exists to encourage and support outreach efforts of the St. Johns’ members. We believe that authentic and relevant outreach grows out of the gifts, passions, and life circumstances of an individual. Therefore, we would like to encourage you to look for ways to share the love of Christ that are a natural extension of your life. Maybe this is as simple as taking a new or lonely neighbor for coffee once a week or helping an elderly person with their yard work. Perhaps it is bringing old magazines to a nursing home and visiting at the bedsides for a few minutes. What if you invited someone into sharing a hobby you love? If you like to build things, you could share your skill set with someone who doesn’t have anyone to teach them these things. What things do you love to do and how/who could you invite into this interest that might benefit from time with you? Is there a public garden spot you could spruce up? Is there an area that is littered that you could adopt? Or is there something that your family could do together- sharing the life and love you have with someone else? Look at your life, interests, and gifts and ask God to show you ways you can share His love by sharing yourself in creative ways. If you have an idea, we would like to encourage you to apply to St John’s for a “micro” grant for money that can help you try out this idea. The application is short and simple and will be reviewed by the Outreach Team. 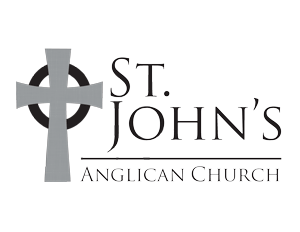 In addition, if you want to talk through an idea first or have help exploring this subject I would love to meet with you- just email: liz@st johnsfranklin.com to set up a meeting. As a church we desire to help one another live into our calling to love God by loving others and caring for the world. Will you join us in this?